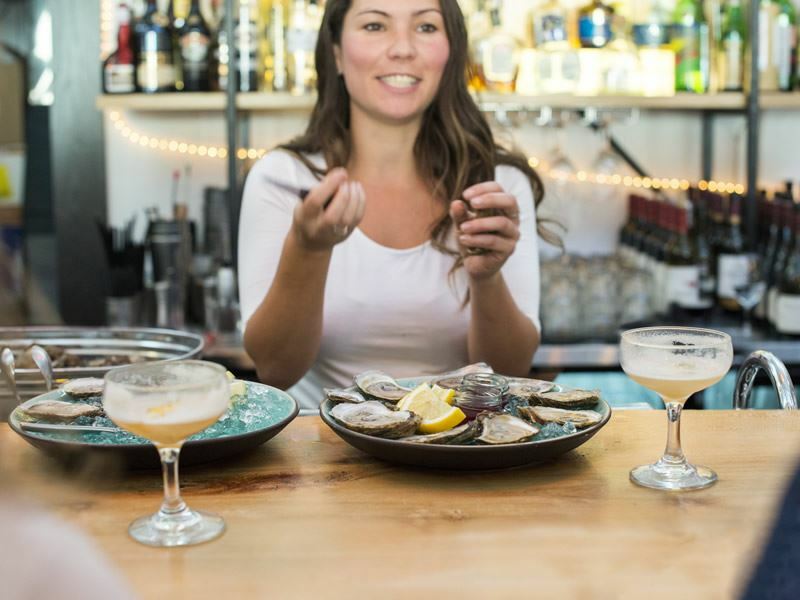 Nova Scotia not only offers impressive scenery with a stunning coastline that extends for miles, picturesque lighthouses and charming fishing villages, but it’s a fantastic destination for beer lovers, with its craft brewery scene beginning to draw enthusiasts from around the world. After all, its capital city boasts the most pubs per capita in all of Canada. The current craft beer revolution all began back in 1985, when The Granite Brewery first opens its doors, and grew slowly over the next couple of decades, gradually increasing by the turn of the 21st century, but still hosted under a dozen craft brewers in 2012. Since then, there’s been an explosion, with nearly 40 breweries in the province to date. Want to join in? Today you’ll discover numerous breweries and brewpubs, fantastic craft beer bars, bottle shops, tours, and more, in this beautiful Canadian Atlantic province. Granite Brewery is what started it all, and it remains the longest running brewery in Nova Scotia. It’s grown steadily over the past several decades, housed in the North End of Halifax, focusing on traditional, well-balanced English ales, along with some occasional seasonal ales. You’ll find it on tap at a number of spots throughout the city, and onsite at the brewery itself are a wide variety of fresh-bottled beers, growlers, party kegs and merchandise. The Henry House on Barrington Street is its former long-time brewpub location, and is arguably the best place to enjoy a pint. The landmark ironstone building constructed in 1834 not only serves this fine brew, but outstanding traditional English pub fare as well. 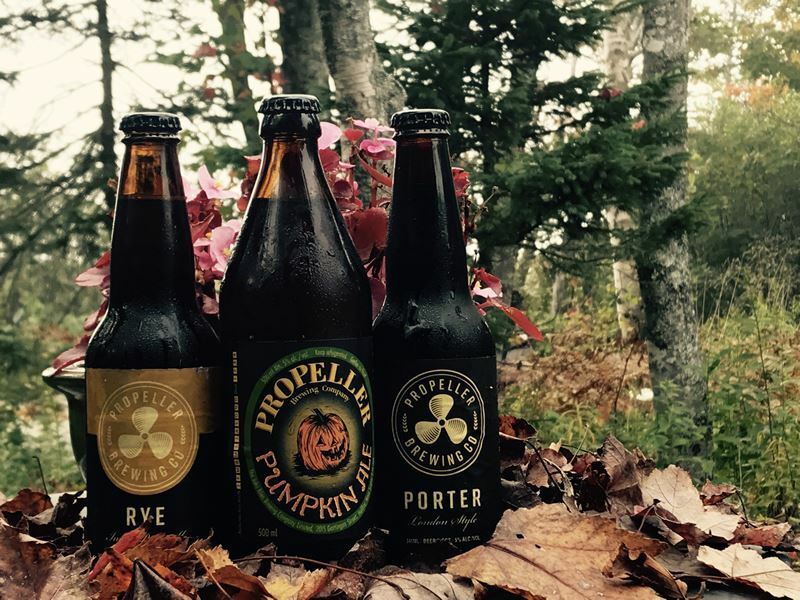 The top selling brewery in Nova Scotia is Propeller Brewing, which features award-winning British-style ales and lagers that can be sampled at many restaurants and bars throughout the province. Offering a beer for just about every taste, some of the favourites include the Revolution Russian Imperial Stout and the Honey Brown. To celebrate the popular Halifax festival, Nocturn Art By Night in October, Propeller brews a special brew known as Nocturn Dark. Visitors can book a brewery tour to learn about the brewing process, and then relax in the tasting room, sampling Propeller brands. 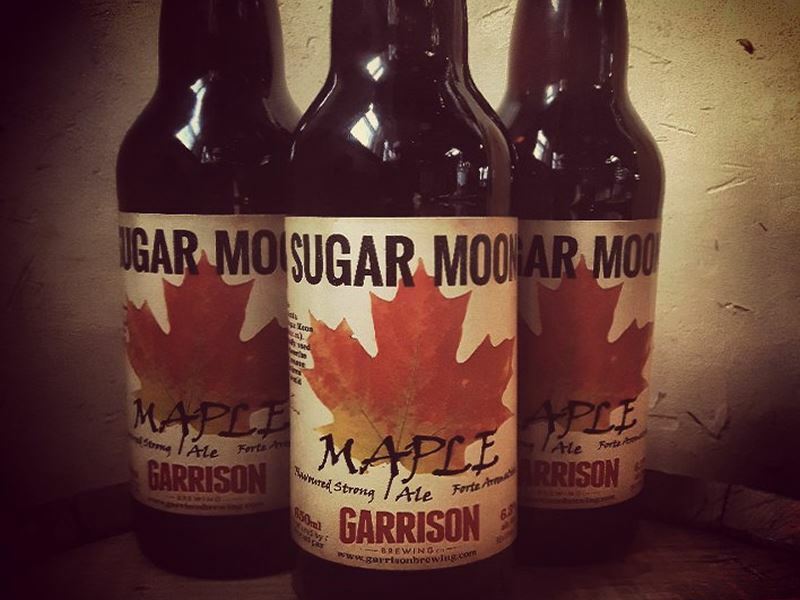 Garrison Brewery, which opened in 1997, is known for its all-natural beers, made with no preservatives. Its first release was an Irish Red Ale, followed by a Nut Brown Ale. Today, Garrison boasts the largest lineup of seasonal, special and collaboration beers, priding themselves on using only the highest quality ingredients. If you can gather up a group of 10 or more, you can take a 90-minute tasting and tour, which includes a wide range of samples on tap as well as a guided tour. The brewery, located in downtown Halifax near the harbour, is also an ideal spot on a sunny day for enjoying pints with friends on the patio. 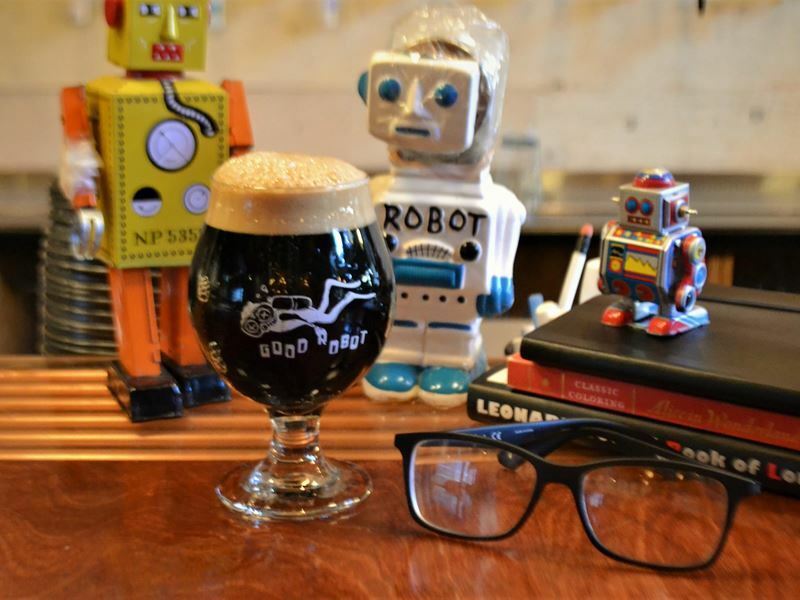 Another fabulous place for taking advantage of pleasant weather is the Good Robot Brewing Company, which features a great turf patio and tasty beer with only minimal amounts of gluten and a rotating menu of snacks from local eateries like Black Sheep and Rinaldo’s. It’s known for its very unique craft beers, like a beer brewed using wild wheat and a corn beer. 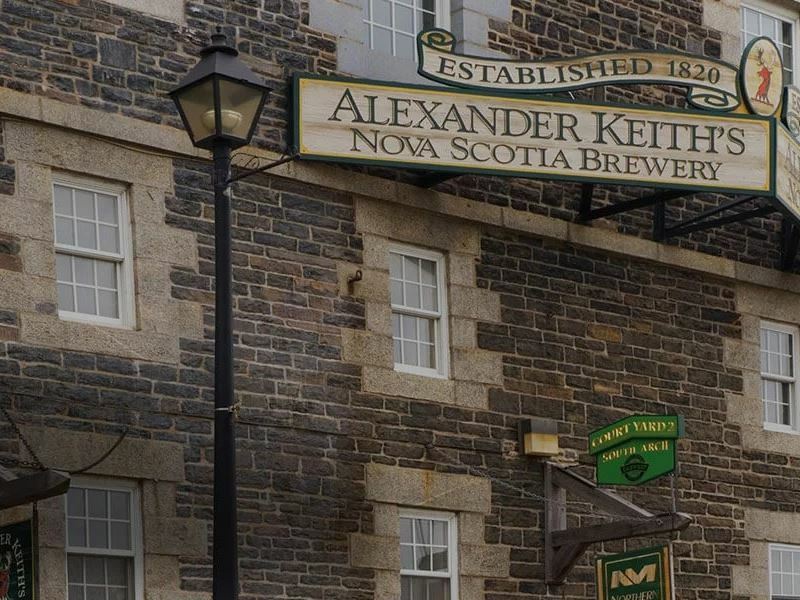 Alexander Keith’s is one of the North America’s oldest commercial breweries, founded in 1820. 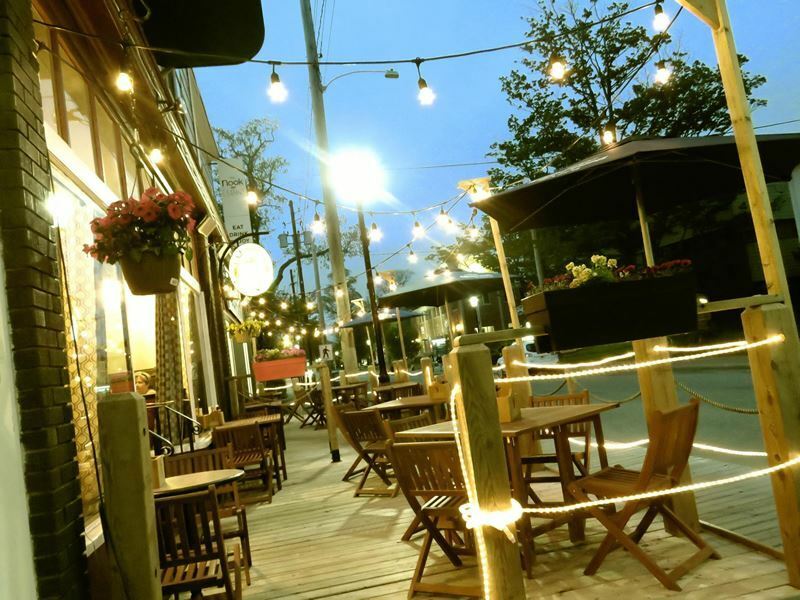 It sits in the historic Brewery District of Halifax and offers tours of the brewery as well as the opportunity to enjoy sipping a pint on the patio. 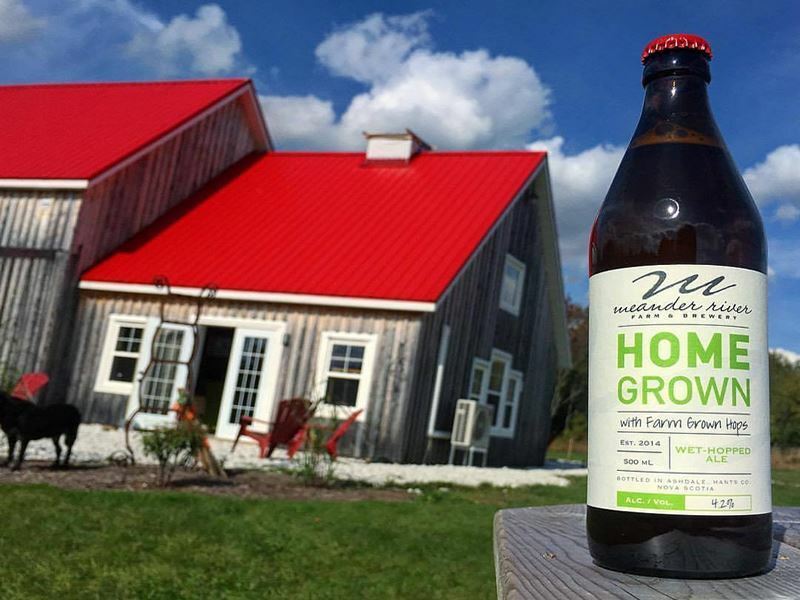 Meander River Farm and Brewery in Ashdale produces craft beer and cider on its long-running family farm, using hops that are grown right onsite. The province’s first cottage brewery, spent grain is used for compost and feed, along with excess water from the brewery to irrigate the hops. 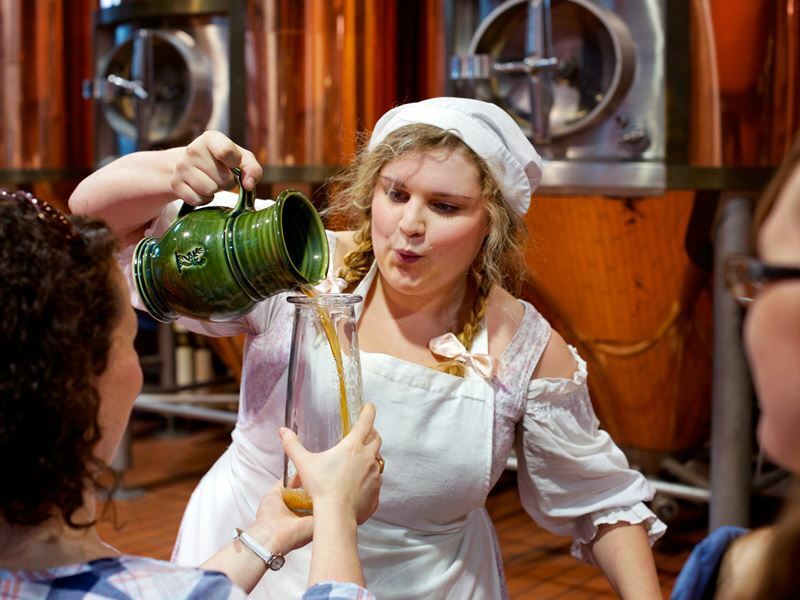 Beer tastings and tours of both the hopyard and brewery are available, allowing visitors to experience its beer making process, while the brewery retail stores offers beer sales in kegs and refillable growers, as well as beer tastings and a range of products produced on the farm. Cape Breton has a number of breweries too, including the first certified organic on-farm brewery to open in Nova Scotia. Big Spruce Brewing opened in 2013, brewing only unfiltered, unpasteurized beers, with its flagship brews, Kitchen Party Pale Ale and Cereal Killer Stout, available at many of the province’s pubs and bars. It also features a tasting patio, and in the summer, on Thursdays, Fridays and Saturdays, the Gourmet Farm-To-Fork Food Truck serves a menu with seasonal locavore and island sourced ingredients to enjoy with your samples. On the North Shore in Lyon’s Brook, Uncle Leo’s Brewery was named one of Canada’s top new breweries in 2013, with all of its beers brewed using various malts, hops, yeast and fresh well water, with no added preservatives or fillers. While it doesn’t host formal brewery tours, you can visit and enjoy samples at the brewery store, and view much of the operation through viewing windows in the tasting room. Uncle Leo’s focuses on bolder brews with loads of character, including rich, chocolatey smoked porters. 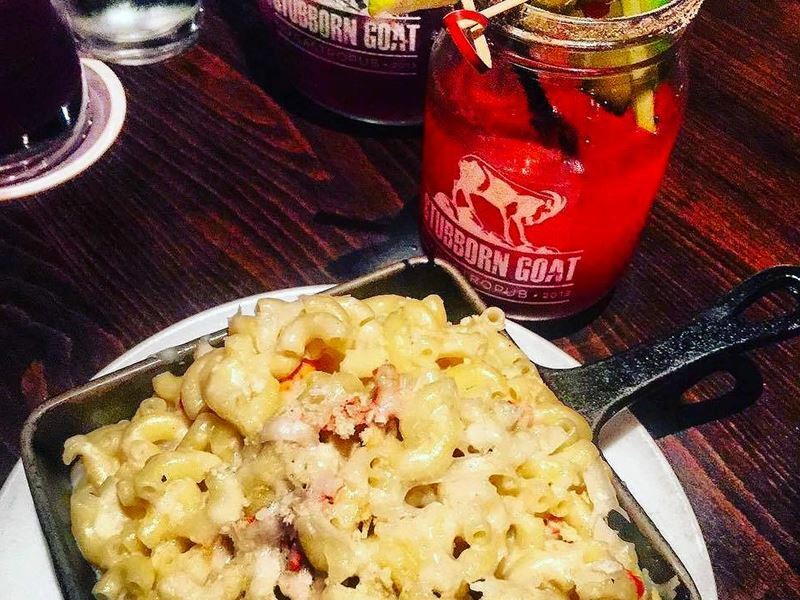 Among the many fantastic brewpubs in Nova Scotia is the Stubborn Goat Gastropub in Halifax, which offers two locations, with the best arguably its new waterfront beer garden providing amazing views of Halifax Harbour and a menu that’s heavy on the local craft beer, along with top-notch gourmet fare. Paddy’s Brewpub also has two locations, in Kentville and Wolfville. This Irish brewpub has lots of character along with fresh-crafted brewery beers, including seasonal blueberry and honey ales, along with delicious food specialties, including fresh seafood and dishes made using locally sourced ingredients. The Nook and Cranny Brew Pub in Truro began as a craft beer bar, but soon started brewing up its own beer right onsite. It features rotating seasonal options along with several regular brews in a large space that hosts a rotating lineup of musicians. The Townhouse Brewpub in Antigonish is a community-supported pub. It boasts an incredibly authentic English pub atmosphere and serves its own British-style bitter ale that’s hand-pumped, along with dishes featuring locally-sourced ingredients like the mouth-watering lobster chowder. While only one beer is brewed onsite, Terry’s Best Bitter, there are a number of other Nova Scotia craft beers available on tap. Rudder’s Seafood Restaurant and Brewpub in Yarmouth is the longest running brewery on the South Shore. It makes handcrafted English-style ales that are full-bodied, utilising spring water, fresh-malted barley, hops, and fermenting yeast. It’s all naturally carbonated and unfiltered, with no preservatives whatsoever. With so many visitors coming to sample Nova Scotia’s fine brews, wines and spirits, the province recently introduced what’s known as the Good Cheer Trail, a route that connects over 50 producers of beer, wine and spirits, allowing you to taste your way across the province, all the way from Sydney, Cape Breton Island to Yarmouth. Sample locally-produced beers, as well as wine, cider and spirits. While collecting stamps on the “Good Cheer Trail passport.” The trail winds through Nova Scotia’s gorgeous landscapes, beaches, farmlands, heritage sites and cities, and participants on the trail also offer special events, tours and tastings, including the opportunity to meet the brewers, winemakers and artisans.